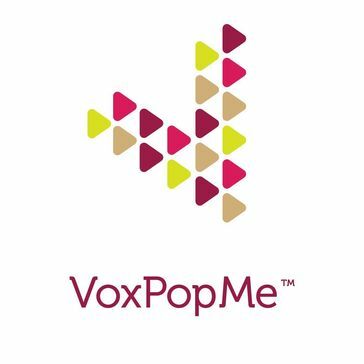 VoxPopMe is a great tool that can be used to tell stories for your brand. You get everything the data collection (videos) to analysis (sentiment analysis, word clouds, transcription) to creating show reels in a presentation. Sometimes the transcriptions are off, but that is minor. It is also hard to control the recording environment - too dark, too bright, poor audio, no audio, men without shirts...etc. You just need to be very specific on what you require and you will get what you need. Definitely give Voxpopme a try. They're going to be light years ahead of other companies who do online insights. They are very open to new ideas and opportunities as well so do not hesitate to reach out to their CEO, Dave Carruthers. We are using this for brand insights and vertbatims for advertising testing. We also would like to use it to collect stories from our customers at trade shows and employees at team meetings. * We monitor all Voxpopme reviews to prevent fraudulent reviews and keep review quality high. We do not post reviews by company employees or direct competitors. Validated reviews require the user to submit a screenshot of the product containing their user ID, in order to verify a user is an actual user of the product. Hi there! Are you looking to implement a solution like Voxpopme?